The novel is a dual timeline - Grace is in NYC in 1946. She is working with refugees from Europe while she tries to get over the death of her husband during the war. She finds some pictures and tries to trace where they come from which leads her to the story of Eleanor Trigg, leader of a ring of female secret agents who were deployed out of London during the war. In Eleanor's part of the novel, we learn about her secret group and one of her main agents, Marie. Marie was working in London and trying to get to the English countryside weekly to see her 4-year-old daughter when she was recruited into the group because of her flawless French. After grueling training and a bond with Josie, one of the other women in the group, she is sent to France as a radio operator. 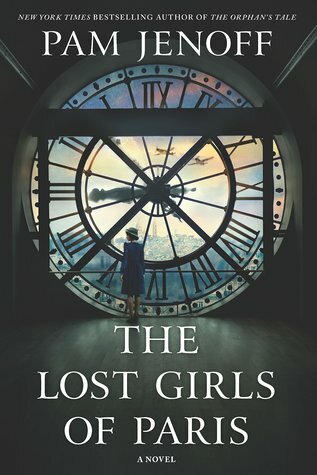 12 women were sent into France to aid the resistance and none of them ever returned after the war. What happens in France to Marie and the other agents, shows their strength and bravery in difficult and treacherous circumstances. The characters in this book are extremely well written. Trigg is very real as her plans progress and she feels constant worry about the group. Marie was my favorite character as we see her grow from someone with low self-esteem to a strong and brave woman. She is not a character that I'll soon forget.